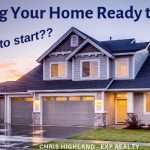 You are here: Home / Buyer Information / Yet Even MORE B.S. Facts About Real Estate that Just Won’t Die! Yet Even MORE B.S. Facts About Real Estate that Just Won’t Die! 拉B.S. 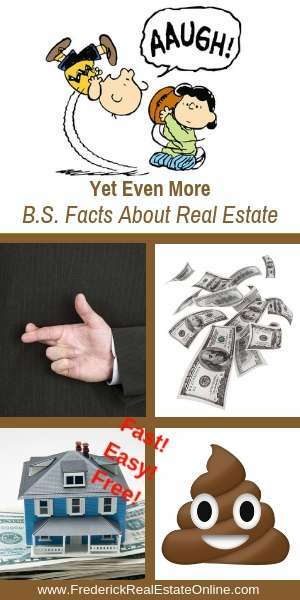 Facts About Real Estate That AREN’T TRUE! So here’s how something can be a “fact”, but it’s not true: In the age of internet “wisdom”, if something gets enough play on the internet, it grows legs. It sometimes grows arms and a head too. It ends up being true in many people’s minds. But the problem is…too often, it’s all B.S. Yep. I said it. BS Facts abound on the world-wide-web. Here are the first myths I came up with a little while ago: 15 B.S. Facts about Homebuying that People think are True. Let’s debunk some more myths about real estate. A. Old news lasts a long time on the internet. The problem is that any local real estate market can change on a dime. The truth is, real estate market trends are always in transition, no matter where they are. B. As well as market changes, its also true that markets are very local. All Real Estate is Local. What is fact in one market may not be in another. C. Probably the biggest lie on the internet, about any news or any industry for that matter, is the myth about social proof. “If enough people are saying it, it must be true!”  In the days of clickbait and shock talk, we should all be naturally suspicious of the popularity of any statement. In many markets around the country the inventory is low, but the demand is still strong. The age-old law of supply and demand comes into play in these markets…home values are on the rise. We typically refer to this as a “seller’s market”. Some home sellers interpret a seller’s market to mean that they can ask whatever they think their home is worth, pushing their price higher to meet what they hope will be a future value. The problem is, this tactic rarely works. It usually backfires. Most home buyers today are working with a buyer’s agent. 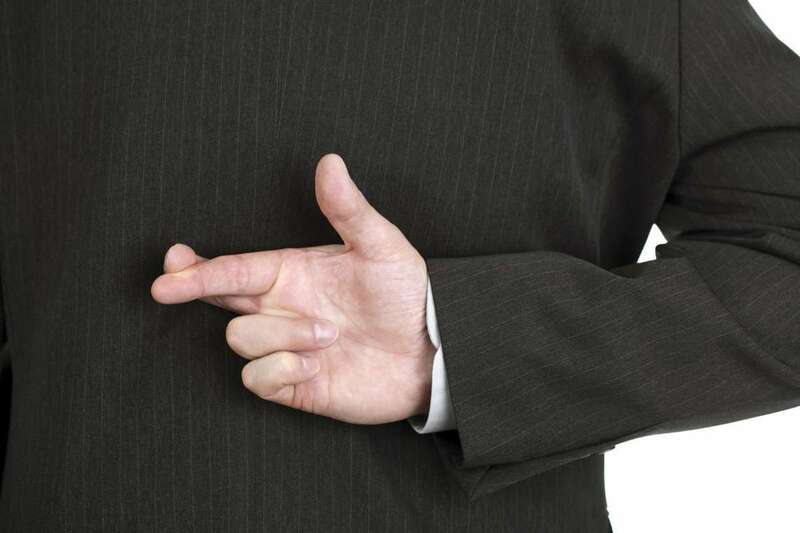 A buyer’s agent has a fiduciary responsibility with their buyer-client, and is looking out for their best interest. One of the things that they will certainly do is ensure that their client NOT overpay for a home. They will be researching the current market value of any home their buyer is interested in making an offer on. As Eileen Anderson, Realtor® and blogger in Simsbury Connecticut points out, “Even if buyers insist on moving forward with the purchase, unless they are a cash buyer, you run the risk of the home not appraising and the buyer not being able to obtain a mortgage.” Be sure to read her article “Top 7 Myths about Home Pricing” for more tips. A seller’s market can be punctuated by a low inventory of homes. Some seller’s might interpret that to mean buyers will have fewer choices so they will “have to take what’s available”. So why bother preparing their home for the market. Like overpricing, this logic usually backfires too! Today’s home buyers are savvy! As much as 95 percent of home buyers are looking on the internet for their next home. They are looking at home values, watching home videos, taking 3-D tours of listings…they have more tools at their fingertips than ever to make wise decisions regarding their home purchase. The truth is, most buyers today want move-in ready value if they are going to pay top dollar. It doesn’t matter if it’s a tight inventory, when a home needs repairs or updates, the price reductions start ticking off in the minds of today’s buyers. In his own myth-busting article for home sellers, Xavier DeBuck, Johannesburg real estate agent, points out that by getting a home move-in ready before marketing it, the seller wins by increasing the pool of interested buyers. Not only that, you strengthen your negotiating position. Read the rest of his helpful seller tips: 15 Home Selling Myths You Need to Stop Believing. While it is true that the best way to get top dollar is to keep your home maintained and up-to-date throughout the time you own it, it isn’t true that everything you do will bring a good return on investment. Some upgrades and renovations bring a good ROI, others don’t. There are two mistakes that you can make: under-improving and over-improving. But of the two, you cannot recover from over-improving…you just have to take your lumps! All houses are different and all neighborhoods have different standards. 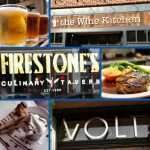 Local market trends can change over the years. Like most things in real estate, there’s no rule about home improvements…except the rule that says, “it depends”. Before we even talk about which improvements add value and which don’t, there is an important overall consideration: Who is your most likely buyer? If your home is in an active adult community, buyer expectations are a lot different than they would be if your home was in a neighborhood with starter homes, or a townhouse or condo development. To make sure you are doing the best updates and renovations possible, it’s not only important to know the expectations of your ideal buyer, it is crucial to research comparative. If the standard in your comparative market is granite counters and stainless-steel appliances, then your home will pale in comparison if you’re still living with laminate and mismatched bottom-of-the line appliances. The opposite can also be true, if the standard is laminate, then spending top dollar in the kitchen would be a waste of money. The best resource is a local experienced Realtor®. Trust me, we love it when we get a call from a homeowner asking us for advice on what to update and what not to worry about. Even if they aren’t planning to sell in the near future, that’s ok. We know that making the smart improvements will make it easier to sell for the best price in the shortest amount of time. We’re happy to help. Xavier De Buck, Johannesburg Luxury real estate agent, has 15 myths sellers should believe. Among his many good tips for home sellers, he points out that according to Remodeling Magazine’s Remodeling Cost vs. Value Report, the average improvement only recoups of 64% of the cost of the renovations! 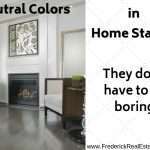 So be careful about those big sweeping ideas that you get after watching one of those HGTV shows! I know that Just about every HGTV show ends with a grand open house, where all the magic happens. But, that is T.V. Real life is different. Open houses don’t usually sell homes. Statistics don’t lie. Historically, the number of homes that sold because of the open house is less than 4%. The vast majority of homes are sold because of a cooperating agent seeing the home on the local MLS, or Multiple List Service. The next largest number is from buyers who saw the home on the internet (on any one of dozens of real estate websites) and told their buyer’s agent about it. Open can be a good opportunity to get feedback, both from buyers and from other real estate agents, but they generally don’t sell a home. They do, however, serve another purpose. Watch my friend Kristina Smallhorn, from Ascension Parrish LA, reveal the secret! But, there are limitations with ballpark numbers. I mean, a single hit that gets you to first base is in the ballpark, just like a deep left field hit that gets you a triple. But there’s a big difference between the two hits, especially if the bases are loaded! know that the differences in the neighborhood two streets away are enough to take 10% off the value of the an otherwise similar home. An algorithm can’t know that this house backs to the freeway, while that similar house backs to a nature preserve. The algorithm can’t know that there is huge demand for this house and not that similar one, just because it’s in a different school district. There are so many reasons why you need a Realtor® to do a Comparative Market Analysis (CMA) to help you narrow down the correct price for your home, in your neighborhood, in your present market conditions. If your house is truly unique, then your Realtor® will recommend an appraisal for the most accurate pricing. Here’s the Truth: Zillow, Trulia and Realtor.com are marketing websites, not owned or operated by any real estate company. They do an amazing job at marketing! However, they are not bound by the National Association of Realtors® Code of Ethics, which requires that we be truthful and accurate in all our marketing. The other Truth: Neither Zillow, Trulia or Realtor.com determine the market price of a home. Lynn Pineda, fellow eXp Realty agent in Coral Springs Florida, points out several false notions about real estate in Top 4 Fake Real Estate Revelations. She separates fact from fiction, especially when it comes to assessing the correct value of a home. The seller doesn’t determine the price, even though he or she intimately knows the home from top to bottom. And no, the Realtor® doesn’t determine the value of a home. The local market does. This is one of the most persistent myths today. The 20% figure comes from the fact that when you put less than that percentage as a down payment on a home, you must pay an additional amount for Private Mortgage Insurance, or PMI, which is added to your monthly mortgage. Of course it would be nice not to have that additional amount tacked on to your monthly mortgage, but we all know that saving enough cash to cover a 20% down payment is very difficult, especially for first-time buyers. FHA Loans (Federal Housing Administration) – available with a 3.5 percent minimum down payment. Conventional loans are available with down payments ranging from 5 percent to 15 percent. Some lenders offer special conventional loans for as little as 3 percent. There are usually a number of grants available to cover down payments for qualified borrowers. Programs are available for public servants, like fireman, teachers, medical workers and those who work in those sectors. VA Loans – Veterans and service members can purchase a home for zero down. State and local programs and rural programs are available to offer down payment assistance or other special loan options for low or moderate income borrowers. Still having trouble saving 3.5 percent for an FHA loan down payment? Sharon Paxson, real estate agent and blogger in Newport Beach, CA, shares Five Ways to Save Money for a Downpayment on a Home. Who knew eBay and Poshmark could be your ticket to buying a home?! The news headlines are always buzzing with housing affordability woes, as well as warnings about housing bubbles. I’m convinced this is largely clickbait. The National Association of Realtors® (NAR) calculates what is referred to as the Housing Affordability Index. This index measures whether the median household could qualify for a mortgage on a typical home using the prevailing mortgage interest rate. It uses a value of 100 to signify that a family with the median income has exactly enough to afford a median-priced home. It is calculated quarterly. The Composite Affordability Index: 140.2 (which means the average family has 140% of the income necessary to qualify for a loan on a median-priced single-family home. Sounds like affordability to me! This BS Fact just Will. Not. Go. Away! Here’s how the real estate selling process works: The home seller contracts with a real estate agent to market their home. The seller and the agent agree upon a fee that the agent will charge the seller, usually a percentage of the sale price. There is no set fee in our industry because that is illegal, but each company has a policy. The listing agent then agrees to share that amount with any cooperating agents who may bring a buyer to buy the house. That fee is an agreed-upon amount enumerated in a contract between the seller and their agent. It has nothing to do with a potential buyer. If a listing agent contracts with a seller to lower their commission if they bring a willing and able buyer themselves, without a cooperating agent, it is required in Maryland to disclose that to all parties, potential buyers and their agents. This is called variable rate commission, and it is extremely rare. When this happens, in the majority of cases, the agent does twice the work (because there is no buyer’s agent involved) and takes the full, though reduced, commission. And the buyer, in most cases, simply lacks representation. There is nothing in the agreement between the seller and the listing agent that signifies that a buyer to pay less for a house simply because they are not represented by another agent. That fee is for the agent to do with as they please. And lets face it, who wouldn’t keep it for doing twice the work? …and it is a great benefit to a buyer, much more beneficial than the empty promise of paying less for a home when you work without a buyer’s agent. A Buyer’s Agent is an agent who works with a buyer, under contract. They have the fiduciary responsibility to represent the buyer’s interest, which includes getting their home of choice for the best price, with the best terms and conditions possible. They are their to negotiate on your behalf, so when you win, they win. In his article: Advice for Choosing the Best Realtor as a Buyer, Jamohl DeWald, Portland Realtor®, gives important tips. After all, it is probably the biggest financial decision most people make in their lives. Be sure to interview an agent before you choose them to represent you. No one should go it alone in the real estate market!  Get a Buyer’s Agent! Tweet That! 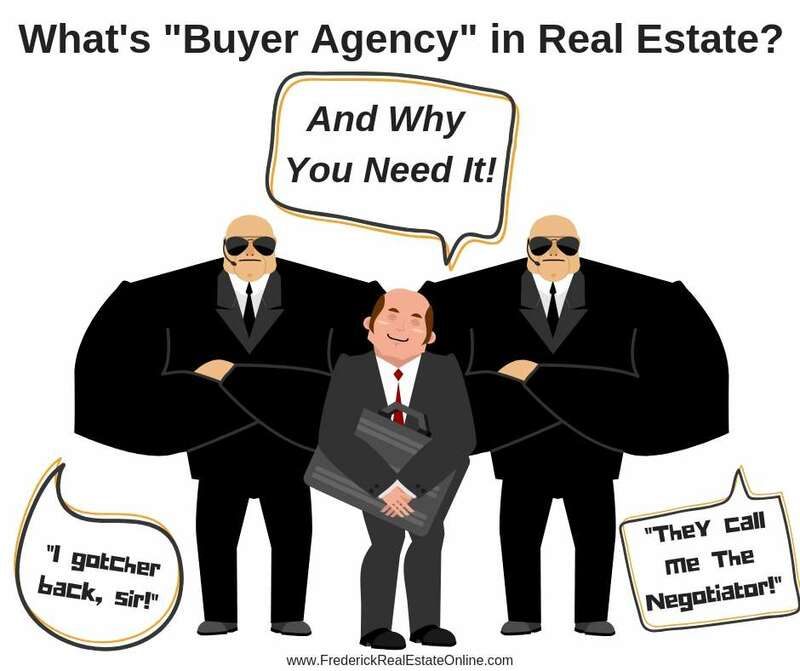 In many areas of the country, when the buyer is unrepresented and works with the seller’s agent, it’s called “Dual Agency“. In Maryland, an agent cannot represent both parties ( Buyer and Seller) – it’s illegal. However, Dual Agency is permitted, but it is defined differently than in most other states. It applies to the”Broker” of the company. Dual Agency can only occur when a listing agent and a buyer’s agent, who both work for the same broker, become involved in a single transaction together. The Broker becomes the “dual agent”. The only time a broker cannot be a dual agent is on his own listing. Dual agency is fraught with difficulties, even if it is legal. Many agents do not practice dual agency, but avoid it for the legal jeopardy that sometimes can accompany the practice. A few thousand extra dollars is just not worth it. However, one required class was super helpful…it was Statistics. I barely passed, but you know what I learned? You can make a statistic say anything you want…if you spin it well. Especially if you are spinning your statistics for someone who isn’t well-acquainted with your subject. Most of the time the statistics you find regarding the real estate market are not meaningful. They are either too broad to have any meaning to a local buyer or seller…as in the case of the national housing statistics we often see on the news, or from the National Association of Realtors®, or they are just a simple snapshot that doesn’t show the trend. It’s best to never take someone’s statistics at face value, but to ask a real estate agent to explain what they really mean. Seattle Real Estate agent Conor MacEvilly, has written a great piece about why several real estate articles about statistics should be recycled…immediately! I couldn’t agree more! Why Many Real Estate Market Reports are Meaningless spreads out a well-researched explanation of how statistics are misleading and what should be explained in a market report. Any meaningful market statistics require a long-range view of the housing market in a very localized analysis. And while we’re speaking of mis-leading real estate content, Conor has written a telling article that you’ll certainly want to read, Beware of These 5 Common Real Estate Marketing Tricks. Whether it’s the promise of incredibly low interest rates, or an agent promising to buy your home if it doesn’t sell, do yourself a favor, READ THE SMALL PRINT. There are often times when it’s hard to find a house you love and can afford. When the inventory of homes for sale is low, we see more bidding wars on houses that are in pristine condition and priced well for their markets. Bidding wars are not everyone’s cup of tea. FHA limited 203(k). The borrower can borrow between $5,000 and $35,000 over the asking price to make minor repairs. The home must be the primary residence. Fannie Mae offers the Homestyle Renovation Loan, for more extensive repairs. Borrower’s can receive up to 50% of the home’s value, with up to 12 months after closing to finish repairs. This loan can be used for a vacation home or an investment property. So, if you are facing some dismal choices in your market, you have other solutions. Find a home with good bones in a neighborhood you will love, and make it your dream home. If the home needs simple cosmetic updates, all the better! Luke Skar, with Madison Mortgage Guys, has written a fantastic guide: How to Purchase a Fixer-Upper and Totally Remodel It. Learn how to pick a home with the potential for profit. Good news…builders are building again. 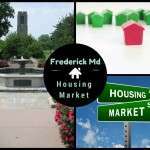 In Frederick Md, we’re seeing new home construction like we haven’t seen since pre-2006. Did you know, when purchasing new home construction, buyers can have their own buyer representation? The real estate agent at the builder’s model home is the seller’s agent for the builder, representing the interests of the builder. As a buyer, there are advantages to having your own buyer’s agent to represent your interests. Most builders, but not all, have built-in costs that cover the Realtor®’s commission. Realtors® who have experience with new construction know the questions to ask along all the phases of the build. The buyer’s agent can help you interpret and understand the contract. The agent can do a non-biased market analysis, one important and often overlooked item in new construction. Tip: Someone purchasing new construction needs to be dedicated to staying in the neighborhood for 2-4 years after the builder closes out, especially if the new buyer only puts 10% or less down. The builder basically controls the value of the home until the neighborhood is closed out. Many things are negotiable, whether the builder offers or not. Using an experienced buyer’s agent can be a benefit in any negotiations. Agents negotiate every day as a part of their job. How often do home buyers engage in negotiations? Market conditions greatly dictate a builder’s incentive to make deals. A buyer’s agent can help you know when market conditions are right for these benefits. In Tips for Buying A New Construction Home, Cincinnati Realtor® Paul Sian explains basics of the new home buying process and the different options you have in available. Warning: I may step on some toes. Have you seen the incredible number of house-flipping seminars taking place all over the country?? Some of them charge hundreds of dollars to attend. Then they charge thousands for their “proprietary software” and “proven systems” for making a killing flipping houses. Do the math people…the only ones making money are the shiesters in front of the room, taking your money. 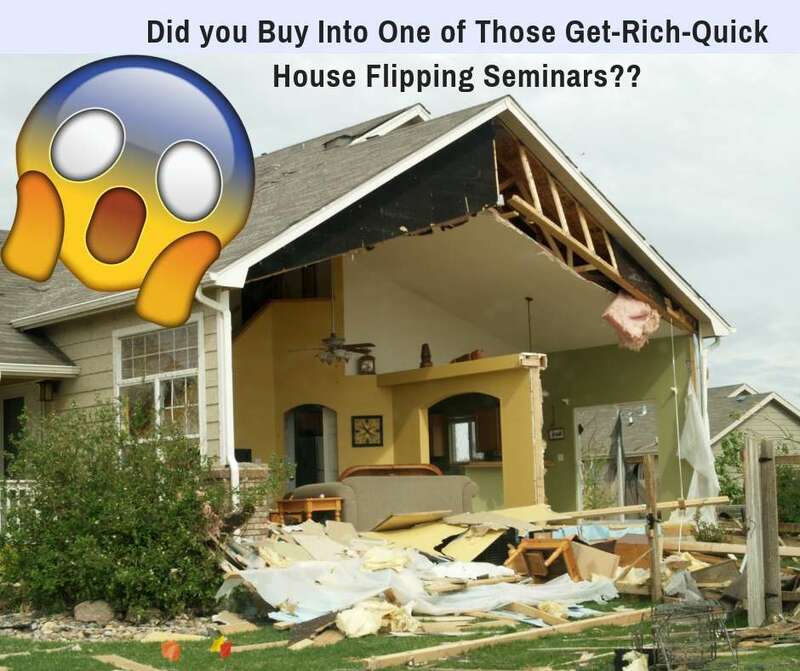 Many of these “get-rich-quick” house-flipping seminars are nothing but a scam. Here’s what they don’t tell you: When the inventory is tight like it is in many areas across the country, finding a home that makes a perfect flip is hard. Ten years ago, when we had a glut of foreclosures, it was a different story. You’ll also find it’s not so easy getting financed. But a hard money lender will be happy to finance your flip…for about 30% interest rates! Flipping is difficult, but I didn’t say it was impossible. It certainly isn’t a “get-rich-quick” scheme. If you want to make money flipping houses, do your research and go in with your eyes wide open. Greater Metrowest Massachusetts real estate pro Bill Gassett has written an informative article for buyers and sellers: Pros and Cons of We Buy Houses Flipping Companies, which pulls back the curtain on those house-flipping scams. As Bill points out, speak to a local Realtor® before you consider one of those “We Buy Houses” companies. They are more than happy to help themselves to your equity! Thanks for making it all the way through the post! Thanks for helping us combat the B.S. About Real Estate, one Tweet at a time! tweet that! Do you live in another area and need a real estate agent? We’ll be happy to refer a top-notch agent! Yet Even MORE B.S. Facts About Real Estate that Just Won’t Die! 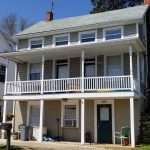 was penned by Chris and Karen Highland, eXp Realty, LLC, Central Maryland Realtors®. And we had a blast dispelling real estate myths! Contact us for any real estate need. 301-401-5119. Yet Even MORE B.S. 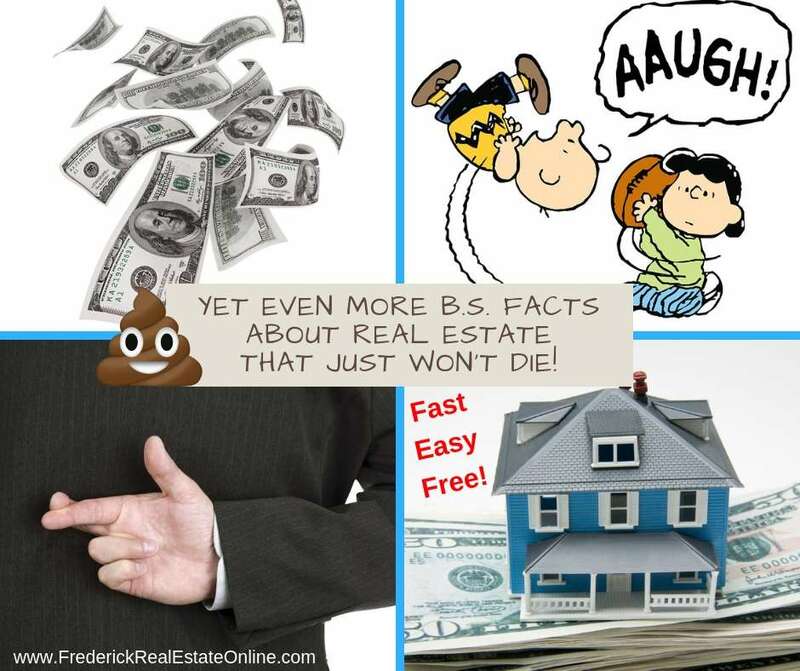 Facts About Real Estate that Just Won't Die!